Notice Regarding GDPR and this web site (5/25/2018): Plugins that are used on this site that are related to GDPR have been updated today with the latest version of each plugin available. Our website address is: https://michellebaileycreative.com. Michelle Bailey Creative LLC, Michelle Bailey (owner) Maryland, USA. We use WPForms to process form email sent to our main email box. Super Socializer – Visit their web site to review their policies. See above and their respective policies. See above vendors and their respective policies. Visitor comments may be checked through an automated spam detection service. Data is collected by our vendors and managed according to their policies. Please view their policies. The vendors names and links are listed above. Please view the contact information page. 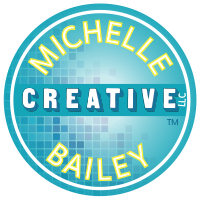 Michelle Bailey Creative LLC is owned by Michelle Bailey operating in Maryland, USA.